Summer camp in Ujjain by jeet sports academy, Best sports training center in Ujjan. 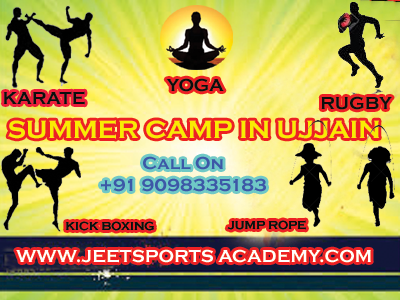 If you are interested to Join Summer camp in Ujjain Area then here is the best place for you to get training in different types of sports and yoga. Use your time to learn sports, use your time to make yourself fit and fine. Be powerful, be smart and take part in national and international sports. Summer camp is the time when we can utilise our vacations to learn and make ourselves strong and powerful. It is the time to fulfil our hobbies, it is the time to enjoy our spare time fully. Get special training of jump rope in summer vacation camp in Ujjain by experts. Learn Martial art, karate, kick boxing in summer camp in Ujjain from experts. 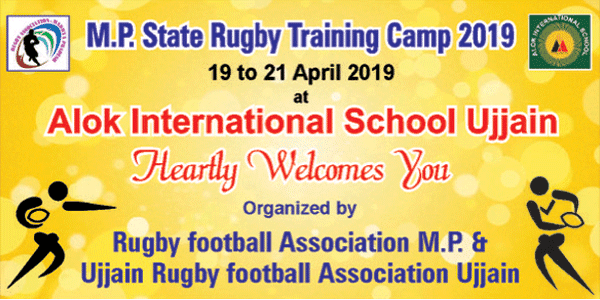 Take Rugby training by experts. Get Yoga Training and fill yourself with energy. Special Summer camp by Jeet sports academy and LIMITED SEATS ONLY.